Retreat to the country on a scenic hill country farm and enjoy the comforts of the recently renovated, 3 bedroom farm cottage. The warm, sunny house is a great place to come back to after a day on the mountain. Located 40 mins from Turoa Ski Area and 55 mins from Whakapapa Ski Area. 10 minutes from Raetihi and 20 from Ohakune. Enjoy your evenings in front of a roaring log fire, soak in the luxurious claw bath or sip wine on the veranda overlooking the garden alive with native bird life. However the rural setting doesn’t mean you have forego the comforts of home. SKY TV (including SKY Sport and SKY Movies) is available for your enjoyment. There is also prepaid wifi available for purchase. Single night bookings can be booked for $200. Please contact us using the enquiry form below. 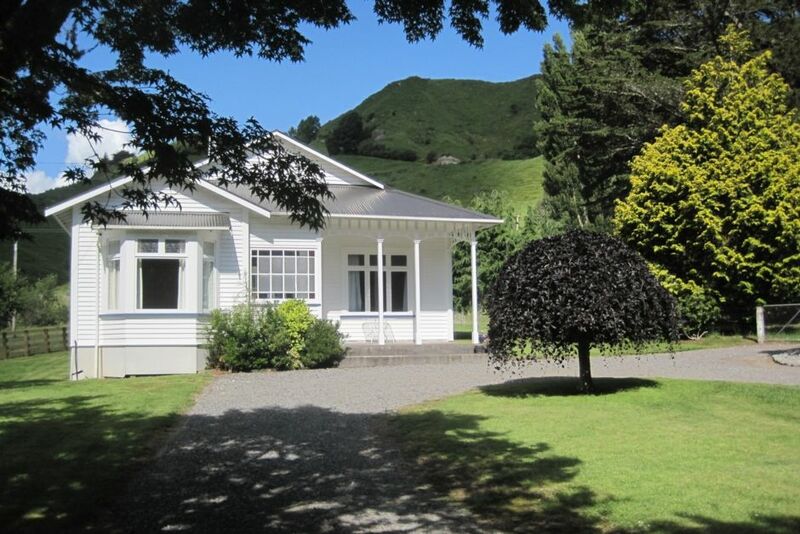 Kereru Cottage is in a great location, convenient for the Tongariro NP and Whangarei River activities and yet a world away from them! The situation is very peaceful. The cottage is modern, well equipped and is spotlessly clean. We loved the walks on the farm, especially the walk to the highest point where the views were fantastic. We’d love to go back one day if we visit NZ again. Highly recommended. Many thanks to Donna and John who made us feel most welcome. This property is in an isolated location - really peaceful, beautiful farmland. This property is in an isolated location - really peaceful, beautiful farmland. It is quiet, comfortable and well equipped. There is no phone coverage - quite a bonus! (it does have wifi if you are desperate to contact anyone). John was wonderful, taking our 14 year old grandson for two days work on the farm which he thoroughly enjoyed. Hope we can come again someday. Great getaway location, well maintained. Great getaway location, well maintained. We will be back. fantastic place for our stay while going through nth Island. good to have met with john who got us to the top of his expansive farm... a MUST DO! Thanks John, for making our stay a memorable one.